What is the hidden agenda behind Obamacare? What is the BGS? What financial struggles does the abortion industry currently face? What are the biggest threats the pro-life movement faces? & more! 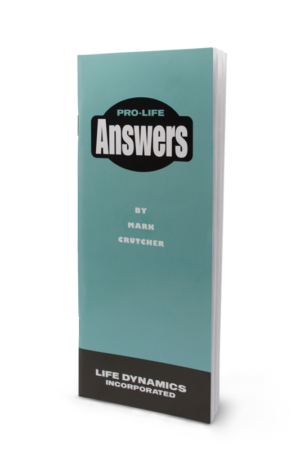 This book will change everything you think about the war against the unborn! 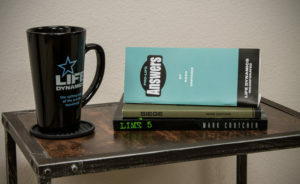 Mark Crutcher, the author of “Siege,” always says that Life Dynamics is not here to put up a good fight, but to win. 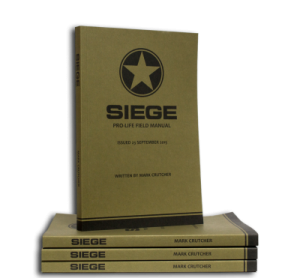 “Siege” is about winning the war against abortion. This is a book that cuts through our illusions about what this fight is, who the enemy is, and how we win. If you are not ready to engage the fight on behalf of unborn children, then don’t bother reading “Siege.” But if you want to engage and win that fight, and are ready to re-shape your thinking about how to make that happen, then this book is required reading, and worth reading over and over again. This book was very enlightening and frightening as Mark places the players in the pro-choice movement in their respective roles and planned objectives. ObamaCare, abortion prices, inclusion of Planned Parenthood as a governmental entity and media accolades for the proponents of evil – his grasp of all the roles being played in this deathly drama again places Life Dynamics in the forefront of the battle! Mark’s book is written with great clarity and honesty in terms of what can be done and what can work. 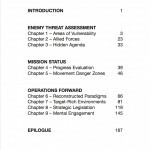 Life Dynamics has common-sense, courageous projects which truly take the war to the enemy. It is no coincidence that the same generation that legalized killing babies would now, themselves, be in danger of being killed by legalized euthanasia (and much sooner by ISIS). When the churches in our nation get flooded with people crying “why us, why me?”, I could only wish that they would have a copy of this book, in addition to MAAFA21, to explain why God didn’t do this to us, we did it to ourselves. A great book is painful to read, because a great book tells the truth and warns us of things to come in a way that makes sense – no theological symbols to interpret, just plain facts. 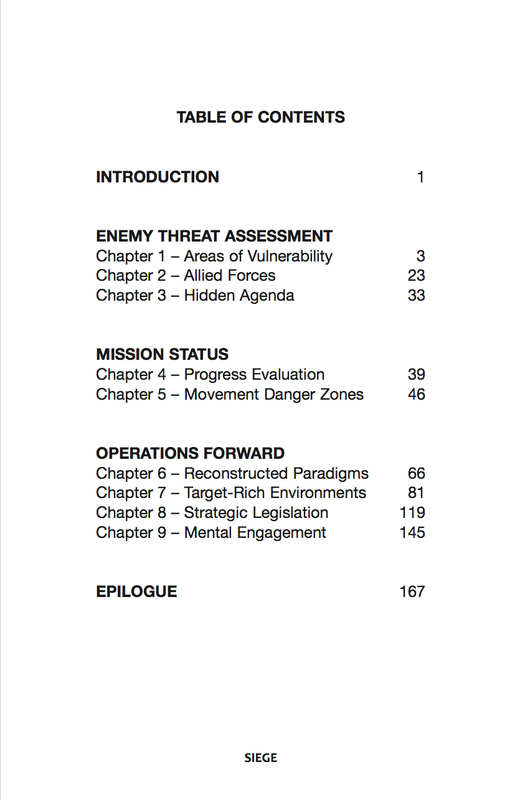 To engage in war a soldier has to be physically and psychologically equipped and trained, and this book is a vital piece of equipment in this deadly invisible war. It brings into the light the deceptions and strategy of the enemy – the abortion industrial complex – and exposes its political undercurrent. “Siege” challenges me on what I must do to continuously fight for the unborn who are created in the image of God. A strategic fight to defend life is just as much a part of worshiping God as anything else. Am I willing to get “bloody”? Thank you for your work, Life Dynamics. P.S. – I’m a volunteer at a Crisis Pregnancy Center, so thank you, Mark, for the insightful section on CPC’s. I devoured this book! Like a young lance corporal on the front who often wonders “why?”, this book will re-stamp the cross on your heart to get involved in the Pro-Life movement. Mark clearly laid out the operating environment, key personnel, key requirements, and then showed the weaknesses. I would strongly encourage anyone interested in the Pro-Life movement to read this book. Another great work by Life Dynamics. A must read. I read all of Siege by 24 hours after I got it. 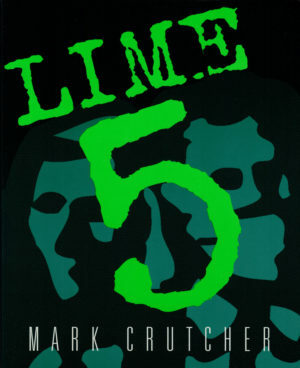 Mark’s always been a good writer, and I’ve always admired the innovative ideas he comes up with. I won’t necessarily agree with all of them, but everything is worth thinking through. There’s more to say on his point about “common ground” efforts. There was a large conference at Princeton in 2010 that was accounted as successful by attenders, but it had a major flaw Mark didn’t even bring up: people on the organizing committee were actually able to veto speakers from the other side. Yep. They could actually restrict how people they disagreed with were able to present themselves. And I had word: I had been vetoed as a speaker. I don’t mean my group, or someone with my characteristics. I mean me, personally, by name. So of course there wasn’t a snowball’s chance in a fiery furnace I wouldn’t attend – I always go places I’ve been explicitly blocked from. The committee member wanted someone who fit her stereotype, and so got a white evangelical male. Actually, he did a fine job. It was fascinating to watch how tentative he was to start with and how he became stronger over time – he left that conference more pro-life than he was going into it. He had expected a barrage of strong arguments he hadn’t encountered before, but was amazed at how weak the arguments were. “Moral agency” for women? Were they really so clueless about how much abortion is used by sexually irresponsible men? But on to a point that I know considerably about: Mark attacks a strong pro-life group on pages 60-61, even when later saying how important it is that we reach all constituencies and stick together. Namely, pro-life peace movement folks. 1. The peace movement sees issues of violence as connected. Military spending means more poverty as it takes money out of the economy. Environmental damage is connected to war. On and on. It’s simply the way we think. 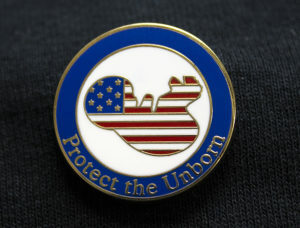 Therefore, it was naturally going to be the approach when peace advocates entered the pro-life movement. Complaining about it is about as sensible as complaining that Priests for Life focuses too much on clergy and liturgy. 2. There are plenty of peace movement people that take the same attitude toward the seamless garment as Mark does. They’re sure that when we bug them about being pro-life, it’s because we’re secret right-wingers, and only using peace concerns as a pretense. And I do speak from vast experience. Last spring, for example, for a major conference of the Women’s International League for Peace at Freedom in The Hague, several of us consistent-life groups submitted ads for the program, and the Consistent Life Network applied for a lit table. All turned down for “lack of space, ” though I saw plenty of space when I got there. And I and a friend did get there, and between us we passed out several hundred leaflets. So Mark’s statement that seamless garment folks don’t go after peace folks to challenge them to become consistent by being pro-life is just plain wrong. Intensely wrong. I’ve gone into the lion’s den to do this many times over the years – I’m getting ready to do it at a large Quaker gathering just next week. Many of us are doing this, and if Mark doesn’t know about it, he can find out by subscribing to our weekly e-newsletter, Peace & Life Connections. It even has an online index. And I must say, the leaflet where abortionists admit they’re killing human beings but justify it because we kill in war too has been among the most effective leaflets I’ve used with peace folks. It leaves people who want to argue rather speechless. 1. It’s not the thing that makes people say “you can’t be pro-life if you don’t also oppose . . . “ because it’s the term “pro-life” that does that. People would have come up with that if the consistent life ethic never existed. 3. The Consistent Life Network has a mission statement that we ask prominent people to endorse (opposing abortion, war, the death penalty, euthanasia, poverty and racism). Endorsers include Father Frank Pavone, Rev. Johnny Hunter, and Destiny Herndon de la Rosa. Johnny was a keynote speaker at Consistent Life’s 25th anniversary conference. Therefore, Mark does spend major hunks of his time hanging out with pro-life activists who agree with the consistent life ethic. 4. Three states had referendums to legalize abortion before Roe. It won in Washington state in 1970, but got creamed in Michigan and North Dakota in 1972. As shown in the recent Defenders of the Unborn book (pages 192-193), it was in Michigan and North Dakota that issue connections of abortion to other kinds of violence were use. That’s field-testing: the argument won elections. It’s effective. It puts abortion in the category of violence, where it belongs. I highly recommend this book to those involved in any aspect of the pro-life movement. Mark Crutcher is a fearless and intelligent pro-life leader. C.S. Lewis once said GOD whispers to us in our joys, talks to us in our daily walk, but screams at us in our pain! What defines are humanity more than this question! Mr. Crutcher’s writing reminds me of Elijah, denouncing and mocking the bloodthirsty prophets of baal, and figuratively putting to the sword every sophist argument these diabolical frauds conjure! The book is more than a MUST READ! This book is a necessary read for all people who believe in the pro life cause. Mark Crutcher informs readers of the tactics and deceptions used by enemies of the pro life movement and the potential pitfalls of pro life activism. It was useful to contrast the propaganda of the anti life industry and the brutal reality faced by people in abattoirs especially the difference between those who talk and those who act. Another aspect which strengthened this book was detailing the hospitalization and murder of women who go to said abattoirs. The link between government policy and health insurance covering the atrocities was interesting and enlightening. The chapter on legislation is vital to the point of paramount. Covering the depression and post traumatic stress disorder suffered by post abortive women emphasized and drove home the point that killing babies does not empower women.